BEST SELLER. 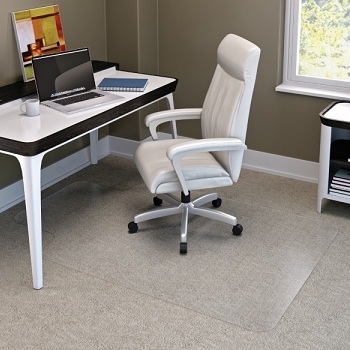 Ideal for any size office for light to frequent use. 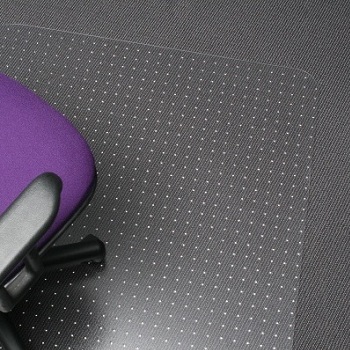 3mm thick mat with textured top surface is slip and scuff resistant. IMPORTANT - Suitable for carpet less than 6 mm including underlay. Low Pile. 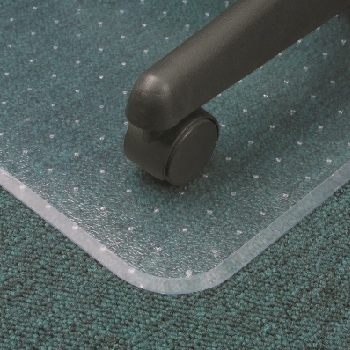 Made from quality vinyl with bevelled edges for ease of movement on and off mat. 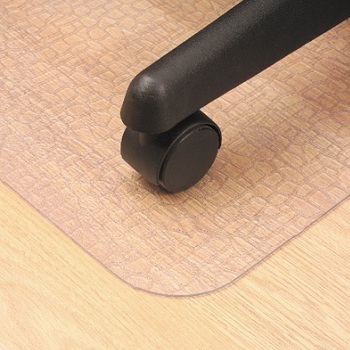 Safe notched stud design ensures mat grips and does not pierce carpet backing. 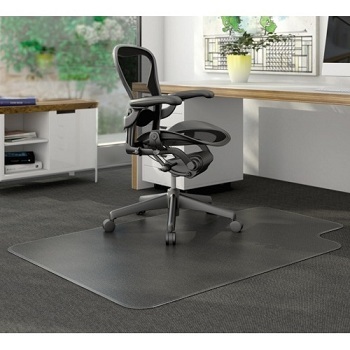 Ideal for workstations and cubicles for frequent use. 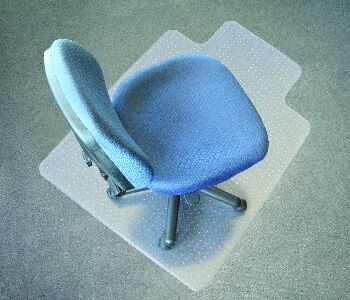 3mm thick, ultra clear (transparent) chairmat with a smooth surface. 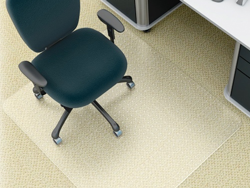 Protects hard floors from wear and tear caused by chair wheels. Suitable for tiled or vinyl as the embossed base prevents moisture build-up and damage to flooring. Bevelled edges for easy manoeuvrability on and off your mat. Ideal for any size office, frequent to heavy use. The strongest and most durable chairmat on the market. Suitable for any carpet thickness. Made from polycarbonate, the same material used to make bullet-resistant glass and jet fighter cockpit canopy. 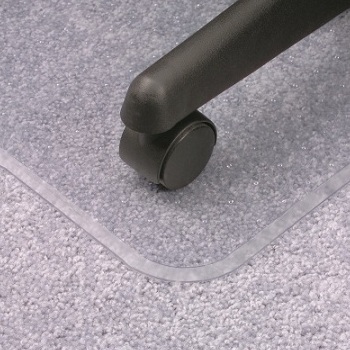 Perfect for protecting carpet from heavy machines, chairs and high traffic areas. Super smooth surface - slide on, off and around with ease. Fire resistant, odourless and emission free. Rectangular shape - available in choice of sizes. Premium quality super deluxe chairmats for the heaviest pile carpets. IMPORTANT - For carpet thickness 15 - 18 mm including underlay. The thickest, heaviest mat for use with deeper pile carpets.